Taittinger is a Champagne house founded in 1734 in Reims. 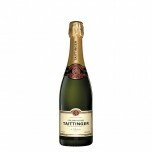 However it wasn’t until 1932 that the Taittinger family purchased the estate and renamed it after their family. 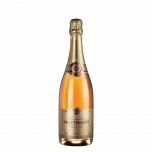 Pierre Taittinger was a cavalry officer in World War I who returned from the war and fell in love with the Champagne region. He was able to buy the vineyards in 1932 and was soon buying more land. Today Taittinger Champagne owns 752 acres of vineyards, making it one of the largest in the region. The estate’s flagship wines are the Comtes de Champagne, made of 100% Chardonnay, and Comtes de Champagne Rose, made of 100% Pinot Noir. 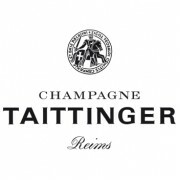 Taittinger is also noteworthy for its program of commissioning internationally acclaimed artists to make labels. Taittinger is a Champagne house founded in 1734 in Reims. 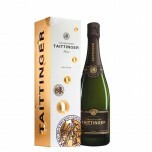 However it wasn’t until 1932 that the Tait..
WE97 The balance between ripeness and acidity that is the hallmark of this fine vintage is expres..
Vinous 92 A highly aromatic bouquet evokes buttered toast, raspberry, tangerine and white flowers..